One of the oldest cheesemongers in England, its origins began in 1742 as a cheese stall in Aldwych market, moving to Jermyn Street where there is still a shop today. The company's reputation culminated in 1850 with the appointment as cheesemonger to HM Queen Victoria. After surviving the lean times of the two World Wars business recovered and Paxtons also opened in Stratford upon Avon and Bath. 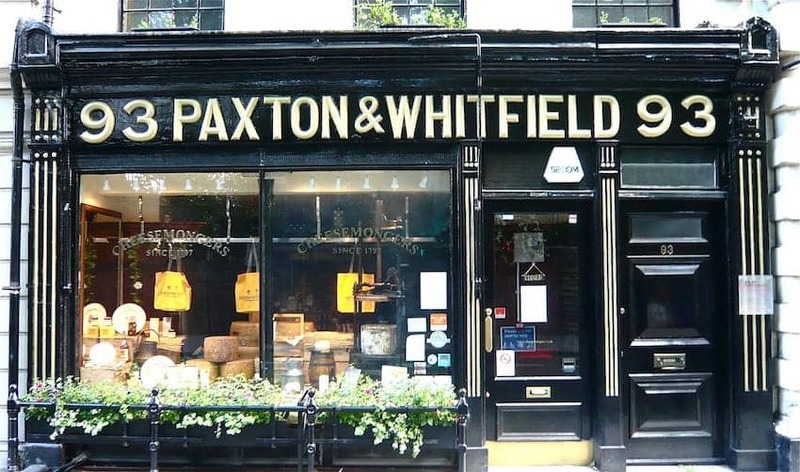 As Winston Churchill once observed 'a gentleman only buys his cheese at Paxton & Whitfield'. A visit to this room full of counters bearing over 100 fine cheeses is a must for the cheese lover.